The 18-hole "Augusta" course at the Augusta Municipal Golf Course facility in Augusta, Georgia features 6,056 yards of golf from the longest tees for a par of 72. The course rating is 69.5 and it has a slope rating of 116. Augusta golf course opened in 1926. 4 miles from the center of Augusta. 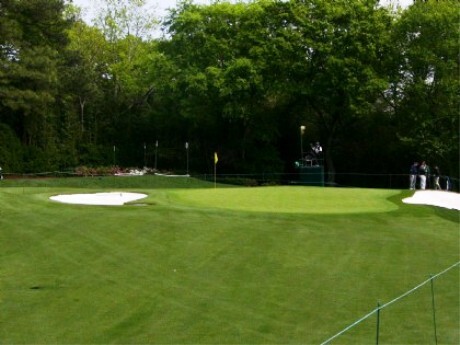 The 9-hole "First Tee of Augusta" course at the The First Tee of Augusta facility in Augusta, Georgia features 2,772 yards of golf from the longest tees for a par of 33. The course rating is 35.5 and it has a slope rating of 113 on. 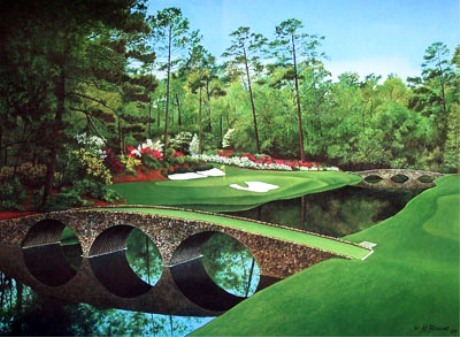 Designed by Harrison Minchew/Arnold Palmer Course Design, the First Tee of Augusta golf course opened in 2001. Jill Brown manages the course as the Director of Golf. 5 miles from the center of Augusta. The 18-hole "Forest Hills" course at the Forest Hills Golf Club facility in Augusta, Georgia features 7,231 yards of golf from the longest tees for a par of 72. The course rating is 72.2 and it has a slope rating of 126. Designed by Donald J. Ross, ASGCA/(R)Arnold Palmer, the Forest Hills golf course opened in 2003. David Usry manages the course as the General Manager. The 18-hole "Goshen Plantation" course at the Goshen Plantation Golf Course facility in Augusta, Georgia features 7,423 yards of golf from the longest tees for a par of 72. The course rating is 74.8 and it has a slope rating of 136 on Bermuda grass. 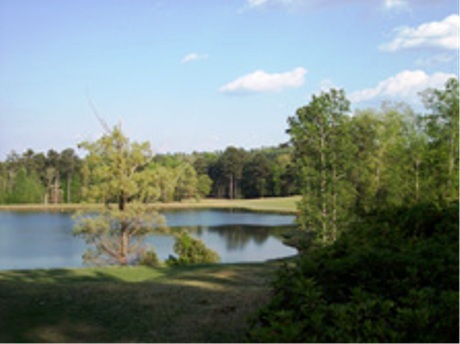 Designed by Ellis Maples, ASGCA, the Goshen Plantation golf course opened in 1968. Spike Kelly manages the course as the Owner/Manager. 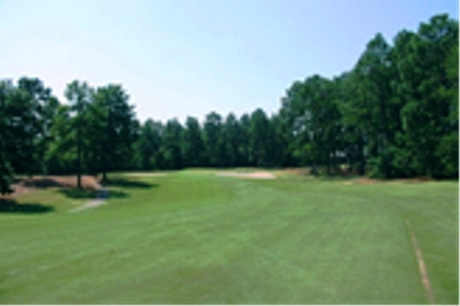 The 18-hole "Pointe South" course at the Pointe South Golf Club facility in Hephzibah, Georgia features 6,460 yards of golf from the longest tees for a par of 72. The course rating is 69.9 and it has a slope rating of 118. 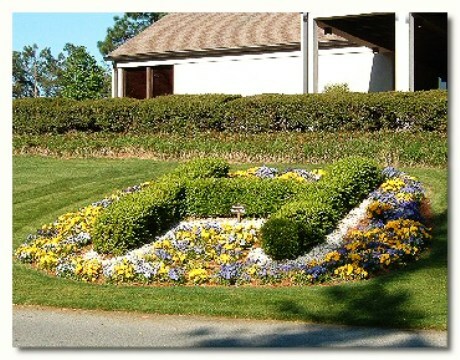 Designed by Tim Rivers/Joe Clement, the Pointe South golf course opened in 1991. Chuck Hutchens manages the course as the Superintendent. 6 miles from the center of Augusta. 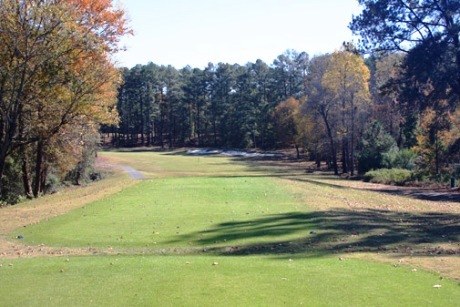 The 9-hole "Pine View" course at the Gordon Lakes Golf Course facility in Fort Gordon, Georgia features 7,077 yards of golf from the longest tees for a par of 72. The course rating is 74 and it has a slope rating of 136 on Bermuda grass. Designed by Dan Schlegel, ASGCA, the Pine View golf course opened in 2003. Family and Morale, Welfare and Recreation Command manages this facility, with William Fumai as the Golf Professional. 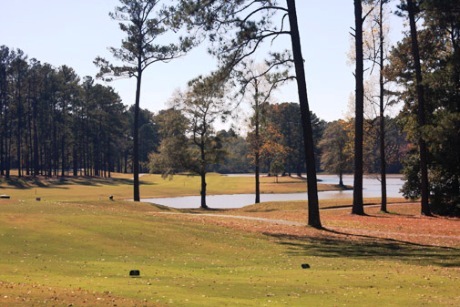 The 9-hole "Lake View" course at the Gordon Lakes Golf Course facility in Fort Gordon, Georgia features 7,077 yards of golf from the longest tees for a par of 72. The course rating is 74 and it has a slope rating of 136 on Bermuda grass. Designed by Robert Trent Jones, Jr., ASGCA, the Lake View golf course opened in 1975. Family and Morale, Welfare and Recreation Command manages this facility, with William Fumai as the Golf Professional. 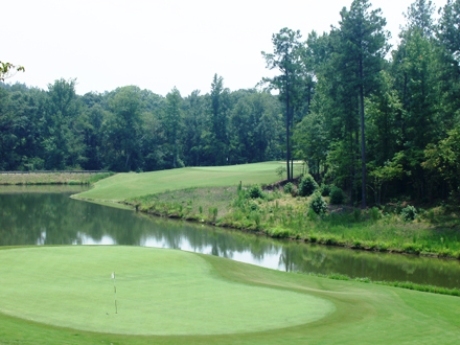 The 9-hole "Island View" course at the Gordon Lakes Golf Course facility in Fort Gordon, Georgia features 7,077 yards of golf from the longest tees for a par of 72. The course rating is 74 and it has a slope rating of 136 on Bermuda grass. Designed by Robert Trent Jones, Jr., ASGCA, the Island View golf course opened in 1975. Family and Morale, Welfare and Recreation Command manages this facility, with William Fumai as the Golf Professional. 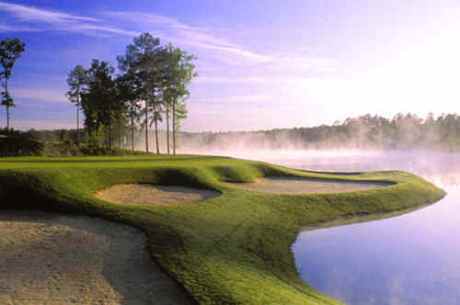 The 18-hole "River" course at the The River Golf Club facility in North Augusta, South Carolina features 6,847 yards of golf from the longest tees for a par of 71. The course rating is 72.2 and it has a slope rating of 130 on Bermuda grass. Designed by Jim Fazio, the River golf course opened in 1998. Chris Verdery manages the course as the Golf Professional/Manager. 7 miles from the center of Augusta. 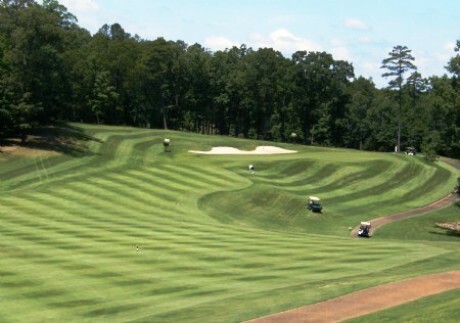 The 18-hole "Bartram Trail" course at the Bartram Trail Golf Club facility in Evans, Georgia features 6,706 yards of golf from the longest tees for a par of 72. Designed by Richard Robbins, ASGCA, the Bartram Trail golf course opened in 2005. 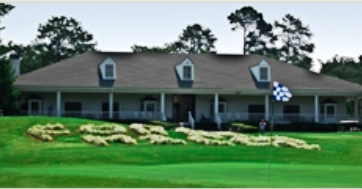 East West Partners Club Management manages this facility, with Robby Watson as the Golf Professional. 11 miles from the center of Augusta. 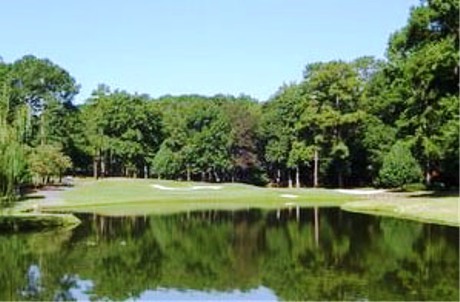 The 18-hole "Applewood" course at the Applewood Golf Course facility in Keysville, Georgia features 6,768 yards of golf from the longest tees for a par of 72. The course rating is 69.4 and it has a slope rating of 118. Designed by Chuck Baer, the Applewood golf course opened in 1996. Chuck Baer manages the course as the President. 15 miles from the center of Augusta. 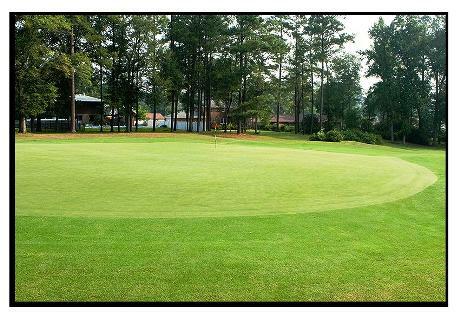 The 9-hole "Jim & Lilie" course at the Jim & Lilie Golf Club facility in Jackson, South Carolina features 2,626 yards of golf from the longest tees for a par of 34. Designed by C. W. Steed, the Jim & Lilie golf course opened in 1956. 16 miles from the center of Augusta. 19 miles from the center of Augusta. The 18-hole "Green Meadows" course at the Green Meadows Golf Course facility in Augusta, Georgia features 6,392 yards of golf from the longest tees for a par of 72. The course rating is 70.3 and it has a slope rating of 119. Designed by William W. Amick, ASGCA, the Green Meadows golf course opened in 1962. Frances Vick manages the course as the General Manager. 2 miles from the center of Augusta. The 18-hole "Augusta" course at the Augusta Country Club facility in Augusta, Georgia features 6,771 yards of golf from the longest tees for a par of 72. The course rating is 73.5 and it has a slope rating of 134 on Bermuda grass. 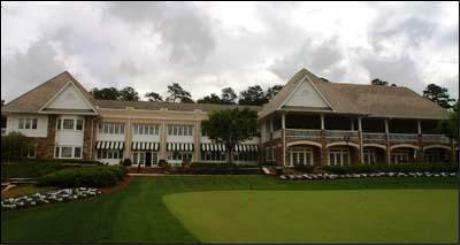 Designed by Donald J. Ross, ASGCA/(R) Brian Silva, ASGCA, the Augusta golf course opened in 1899. Henry Marburger manages the course as the General Manager. The 18-hole "West Lake" course at the West Lake Country Club facility in Augusta, Georgia features 6,876 yards of golf from the longest tees for a par of 72. The course rating is 73.2 and it has a slope rating of 132 on Bermuda grass. Designed by Ellis Maples, ASGCA, the West Lake golf course opened in 1968. David McManus manages the course as the General Manager. 10 miles from the center of Augusta. 12 miles from the center of Augusta. 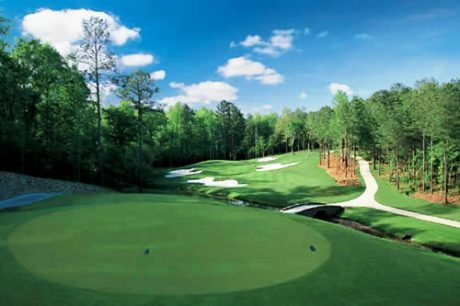 The 9-hole "Nicklaus Bluff Nine" course at the Champions Retreat Golf Club facility in Evans, Georgia features 3,685 yards of golf from the longest tees for a par of 36. Designed by Jack Nicklaus, ASGCA, the Nicklaus Bluff Nine golf course opened in 2005. Wayne Millar manages the course as the Project Manager. 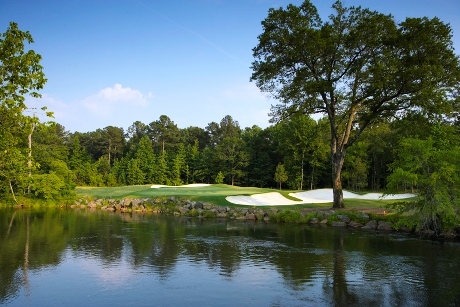 The 9-hole "Player Creek Nine" course at the Champions Retreat Golf Club facility in Evans, Georgia features 3,579 yards of golf from the longest tees for a par of 36. Designed by Frank Henegan/Gary Player Design, the Player Creek Nine golf course opened in 2005. Wayne Millar manages the course as the Project Manager. The 9-hole "Palmer Island Nine" course at the Champions Retreat Golf Club facility in Evans, Georgia features 3,698 yards of golf from the longest tees for a par of 36. Designed by Arnold Palmer, the Palmer Island Nine golf course opened in 2005. Wayne Millar manages the course as the Project Manager. 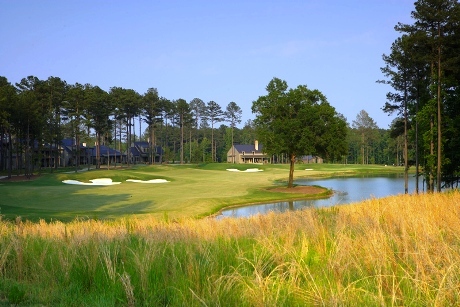 The 9-hole "Hollow Creek Front" course at the The Reserve Club At Woodside Plantation facility in Aiken, South Carolina features 6,995 yards of golf from the longest tees for a par of 72. The course rating is 73.5 and it has a slope rating of 133 on . 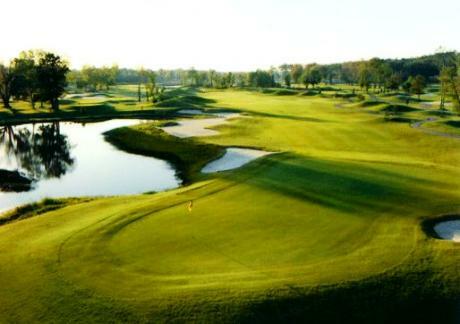 Designed by Fuzzy Zoeller/Clyde Johnston, ASGCA, the Hollow Creek Front golf course opened in 2007. Ross Desmond manages the course as the General Manager. The 18-hole "The Reserve Club" course at the The Reserve Club At Woodside Plantation facility in Aiken, South Carolina features 6,980 yards of golf from the longest tees for a par of 72. 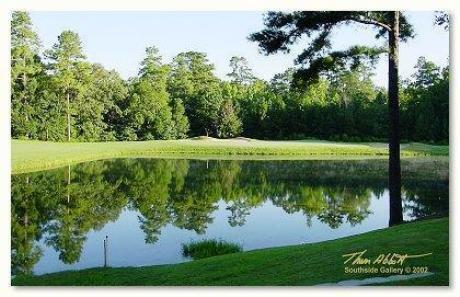 Designed by Nicklaus Design, LLC, the The Reserve Club golf course opened in 2002. Ross Desmond manages the course as the General Manager. 17 miles from the center of Augusta. The 18-hole "Sage Valley" course at the Sage Valley Golf Club facility in Graniteville, South Carolina features 7,245 yards of golf from the longest tees for a par of 72. 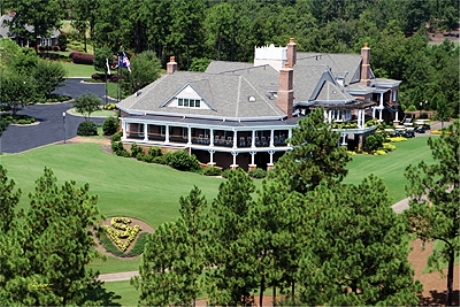 Designed by Thomas Fazio, ASGCA, the Sage Valley golf course opened in 2001. Dave Christensen manages the course as the General Manager. 18 miles from the center of Augusta. The 9-hole "Laurel" course at the Houndslake Country Club facility in Aiken, South Carolina features 3,350 yards of golf from the longest tees for a par of 36. Designed by Joseph L. Lee, the Laurel golf course opened in 1974. Jeff Howell manages the course as the General Manager. 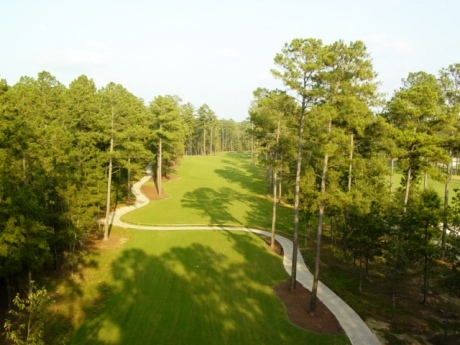 The 9-hole "Dogwood" course at the Houndslake Country Club facility in Aiken, South Carolina features 3,253 yards of golf from the longest tees for a par of 36. 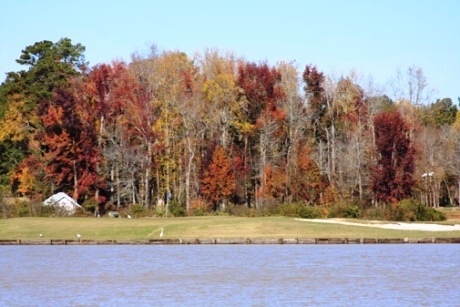 Designed by Joseph L. Lee, the Dogwood golf course opened in 1979. Jeff Howell manages the course as the General Manager. 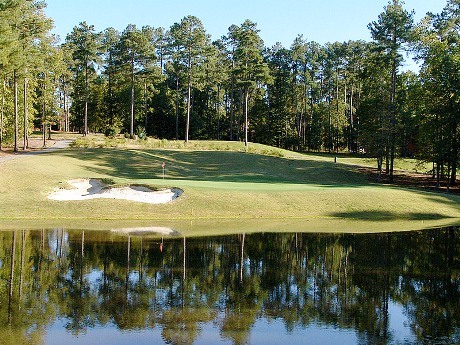 The 9-hole "Azalea" course at the Houndslake Country Club facility in Aiken, South Carolina features 3,222 yards of golf from the longest tees for a par of 36. 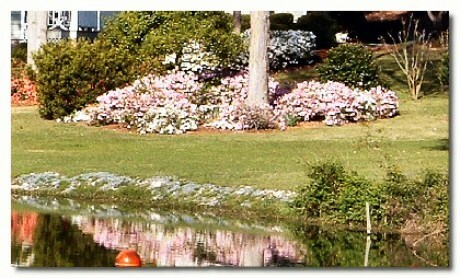 Designed by Joseph L. Lee, the Azalea golf course opened in 1974. Jeff Howell manages the course as the General Manager.